Dragon Quest X continues to allude Western gamers a year after its release, and Square Enix still has nothing solid on a localization effort. The game has become profitable in its home country, but not on the level Square Enix has been hoping for, especially given the universal love and high sales figures the series typically enjoys. Two obvious methods of expanding beyond the Japanese Wii and Wii U audience are to bring the game to PCs and let American gamers have a stab at it. Square Enix has a PC version on the way, but Producer Yosuke Saito and Executive Producer Yuu Miyake confirmed with Famitsu that an American release is only in the consideration phase at the moment. "Of course. However, as for whether it'll be run in the Dragon Quest style in the overseas market, every nation has its own play style and sensibilities, so I don't think it'll be a single game worldwide like with Final Fantasy 11." It's a logical point. Square Enix already has Final Fantasy XI and is just around the corner from launching Final Fantasy XIV: A Realm Reborn, so it has experience in seeing how the world interacts with one another in an MMO environment. Sato echoed the point, mentioning a need to split the game by region or country. "This is just my personal viewpoint, but different countries consume their games at different speeds and the way the communities are run also differ. Even the way people enjoy seasonal events is different, so I think we need to divide the running of it by country or region. So we're thinking about having separate servers for each country." Basically, they are saying the Japanese audience has enjoyed Dragon Quest at its own leisure for the last 30 years, and only recently have Westerners really been along for the ride. 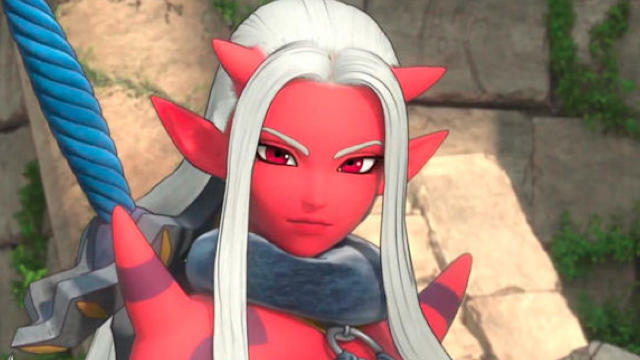 An unknown factor added to the balance of an MMO world, like players with vastly different styles, could rearrange the way the game is played and make it not a fun or pure Dragon Quest experience for the Japanese audience. He could also be referring to payment methods though. Dragon Quest X still runs on a subscription based plan, an antique idea rapidly vanishing from the Western marketplace. Western markets have become more attracted to free-to-play, and Square Enix could very well be deciding if that is the best course for making Dragon Quest X profitable, even after the subscription based Final Fantasy XIV: A Realm Reborn launches. No sense in having two MMOs compete with one another and eat into each other's profits. At any rate, there is a cultural divide blocking Dragon Quest X's release in America, be it separate servers or payment option, and Square Enix is currently working out the kinks to make it work on a worldwide scale. It might be best to hurry up, or this game, labeled by Nintendo as "the highest profile third-party release ever announced for the platform" could totally fly by much of the gaming world.